January 31, 2013 Comments Off on Welcome to James Voorhies! 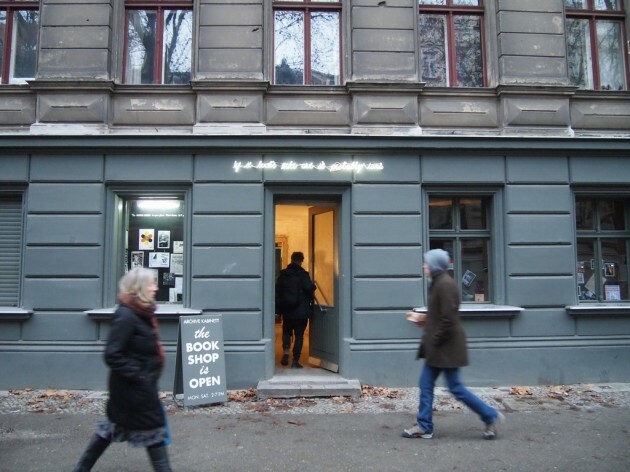 Voorhies and Bureau for Open Culture have worked with institutions such as MASS MoCA, Wattis Institute for Contemporary Arts, Wexner Center for the Arts, Printed Matter, Bennington College, Columbus College of Art & Design, the Siena Art Institute, and Salon für Kunstbuch 21er Haus in Vienna. He has produced commissioned projects with a number of artists including Claire Fontaine, Thomas Hirschhorn, Learning Site, Mary Lum, Dennis McNulty, Red76, REINIGUNGSGESELLSCHAFT and Christian Tomaszewski. Voorhies is visiting faculty at Bennington College in Vermont and has taught art history and critical theory at San Francisco Art Institute and Parsons The New School for Design. He has served as Director of Exhibitions at Columbus College of Art & Design, Deputy Director at the Wattis Institute, and worked in curatorial departments at Brooklyn Museum and the Metropolitan Museum of Art. He is currently working on a book titled Falling from the Grip of Grace: The Exhibition as a Critical Form since 1968, which is a historical and theoretical account of exhibitions from 1968 to the present moment with particular attention to changing roles of the spectator. It analyzes connections between late-Modernist artistic strategies engaged with the exhibition as a critical form to subsequent dispersal of those strategies into contemporary curatorial, artistic and institutional practices. « Thanks to James Voorhies! You are currently reading Welcome to James Voorhies! at STUDIO VISITS. Comments: Comments Off on Welcome to James Voorhies!